Beautifully updated single story home in Oakmont! This house features 4bd+study with French doors, hand scraped pecan floors, soaring ceilings, custom ceiling fans, crown molding and brushed nickel hardware throughout. Stunning kitchen with large island and stainless steel appliances. Master&half bath updated with amazing travertine & custom lighting. Backyard boasts 36X12 Stained concrete covered patio, built in grill, 8ft private fence, French drains and Oversized garage. 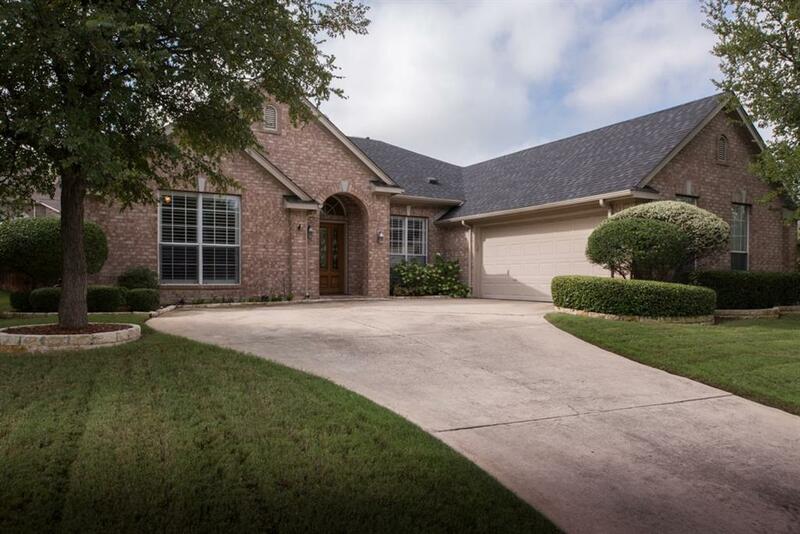 This home is conveniently located to I35 and 2499. Close to great schools, shopping and restaurants. Must see! This one will move quick! Buyers house didnt sell so you all get another chance to submit an offer on this beautiful home!